Dreamin’ to Walk on the Moon is a special program celebrating the 50th Anniversary of Apollo 11’s historic landing on the Earth’s Moon and safe return to Earth. The project began in October 2019 and will culminate on July 20, 2019, the 50th Anniversary of the Moon landing and walk. The kick-off included excursions for residents and caregivers in the Quality Life Services continuum of care to the John Heinz History Center to explore the traveling Exhibit, “Destination Moon: The Apollo 11 Mission”. The exhibit includes the actual Command Module Columbia that carried the crew, equipment and precious lunar samples through the fiery reentry. 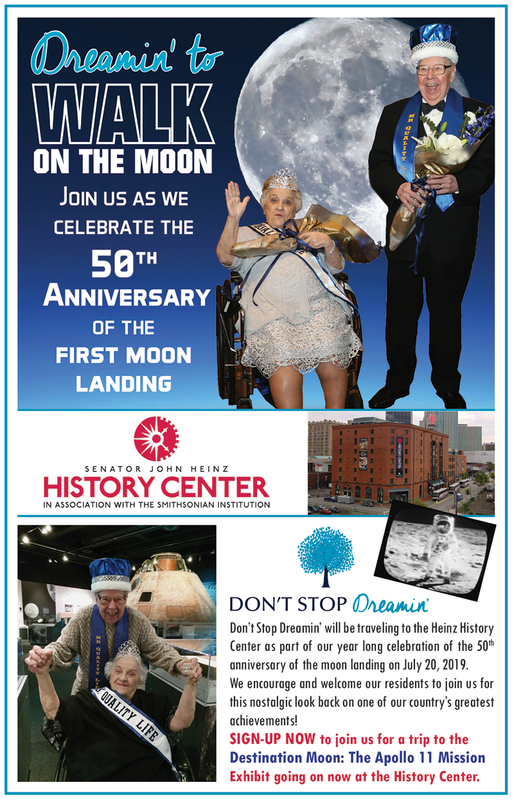 The History Center is providing private guided docent tours for Don’t Stop Dreamin’. Almost 50 years ago on July 20, 1969, ½ billion people from all over the world were captivated as they watched live on their televisions Apollo 11 Astronauts Neil Armstrong and Buzz Aldrin land and walk on the surface of the Moon while Michael Collins orbited the Earth. Thousands of people today could speak of exactly where they were and what they viewed that historic night. Many of those people are residents in nursing homes. Don’t Stop Dreamin’ would like to recall and commemorate the event in America’s history that brought a world-wide population together to celebrate humankind’s quest to explore where no man had gone before. Stories will be captured as the resident’s reminisce about their recollections of the journey including the anxiety of men traveling 240,000 miles from Earth, the safe landing, the anxious takeoff from the Moon and the travel back to the Earth. The average age of the 1,300 nursing home residents we serve is 80 years old and have a Moon landing story to share. Apollo 11 Astronauts Armstrong, Aldrin and Collins were born in 1930 and share a common bond of living during the same decades as these residents. 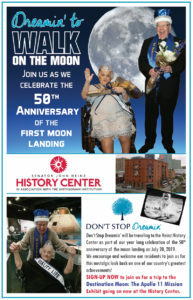 Throughout the year, Don’t Stop Dreamin’ will be conducting Lunar based educational and art activities in the nursing homes leading up to the grand 50th Anniversary celebration on July 20, 2019. Dreamin’ in the Moment is an art therapy project for residents/patients living with dementia and Alzheimer’s in the Quality Life Services’ continuum of care. In partnership with the Carnegie Museum of Art, Don’t Stop Dreamin’ utilizes the award winning “In the Moment”, a carefully designed tour which invite participants to look closely, think deeply and respond verbally or with non-verbal gestures while touring the collections. Tours are designed for people with early or middle stage dementia and a care giver which can be a trained staff, a family member or a friend. DSD encourages a family member or friend of the dementia resident/patient to accompany their loved one to share the experience and view the thoughts and emotions elicited from the interaction and tour. Over five million Americans suffer with dementia. Studies show that art therapy can enhance communication, brain function and social interaction for dementia patients. Visual art can also trigger dormant memories and emotions, inspiring conversations among the residents who normally struggle to express themselves. 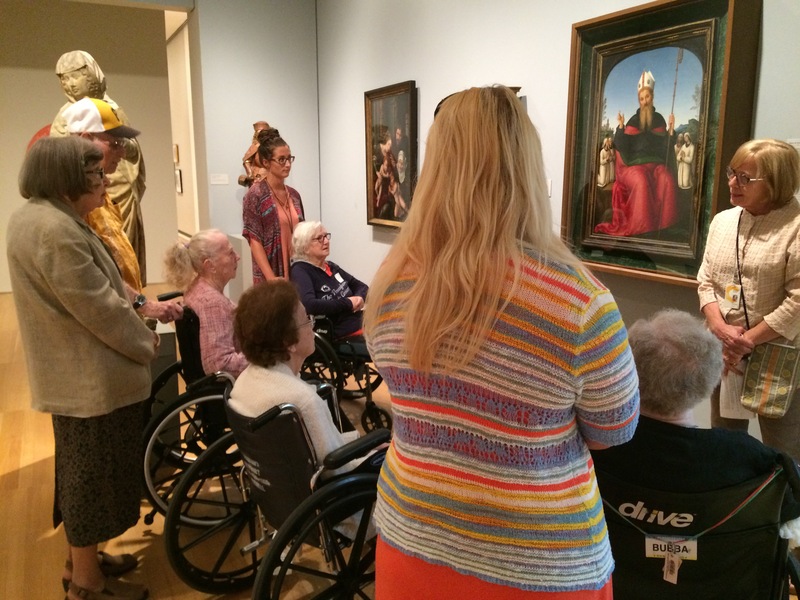 Since dementia patients cannot verbalize their request to experience a DREAM from DSD, it is our intention to offer art DREAMS to encourage expression and connecting through their imagination not through linear memory. 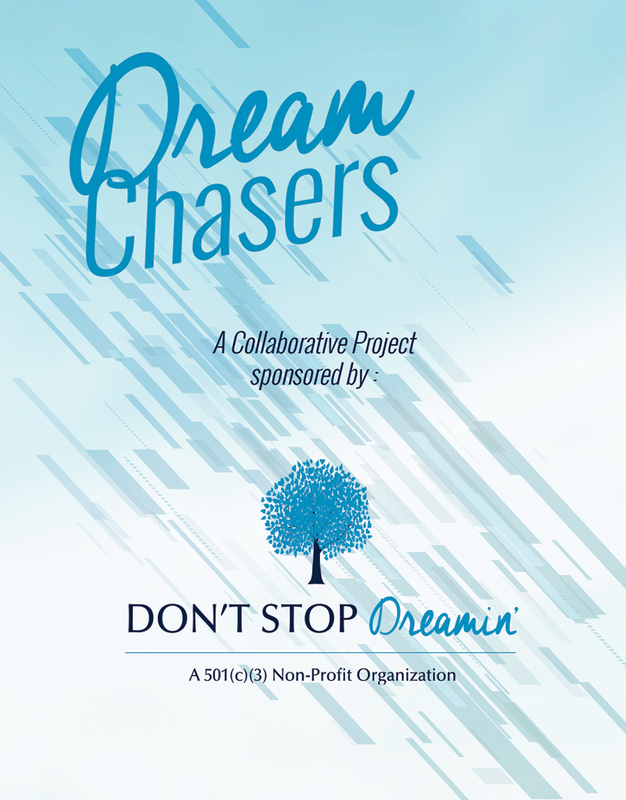 Dream Chasers is a registered program of Don’t Stop Dreamin’ whereby Don’t Stop Dreamin’ partners with institutions of higher education such as colleges and universities throughout Western Pennsylvania and the facilities in the Quality Life Services continuum of care. The program focuses on learning how individual’s unique perspectives, values and aspirations are shaped by his / her background and life experiences. Students of the respective college or university will be paired with Quality Life Services residents with whom they will engage in a semi-structured oral history dialogue with periodic group activities. Students will use the Legacy Recorder as a simple tool to help the residents tell their stories to the students. The goal is to capture their stories of a lifetime, one page at a time. The program will culminate through a celebratory gathering to honor the residents by sharing what life lessons have been revealed over the course of a semester and what legacies the students are taking into their own lives as the result. Laugh For Love is a comedy event that helps to make Dreams come true. On February 16, 2019, Don’t Stop Dreamin’ will host its 4th Annual Laugh For Love at the DoubleTree by Hilton Pittsburgh-Cranberry. Doors open at 6:00p.m. with a cash bar and the Italian Bistro Buffet begins at 6:45p.m. After an opening act the popular Pittsburgh personality Jimmy Krenn will entertain guests with his well-known comedy. An extensive raffle basket display will be offered for guests to peruse and help support Don’t Stop Dreamin’. If you would like to help support Dreams in 2019 we offer various sponsorships for Laugh For Love. Please download our brochure here for more information. Join us for our annual DREAMIN' To Eagle Golf Outing, held in September of each year. Proceeds form the outing benefit the Don't Stop Dreamin' Foundation. Our event is a Shotgun Start, scramble format golf tournament that includes green fee and cart, refreshments, hot dog lunch, dinner buffet and prizes! Information can be found in the blog section of this site or our Facebook page.